Wholesaling laws exist for one reason, and one reason only: to ensure ethical and transparent practices are utilized when wholesaling real estate. Wholesaling real estate rules have been put in place to protect those that decide to wholesale properties, and we are lucky they exist. Unfortunately, the lines have been blurred by convoluted legal language and a disregard for compliance. As a result, there’s a gross misconception that wholesaling is illegal. It is worth noting, however, that wholesaling is not illegal. In fact, wholesaling can prove highly lucrative for those willing to follow the laws put in place by the state they intend to deal in. That said, it’s important to familiarize yourself with the wholesaling laws that govern your area, and to abide by them when carrying out your own wholesale deal. Is Real Estate Wholesaling Illegal? Wholesaling is not illegal. Countless investors have made a good living by wholesaling properties. However, as is the case with every other exit strategy, there are laws one must abide by. To make matters even more confusing, each state has its own rules in place. Case in point: it is legal to wholesale real estate, as long as you follow the rules of your particular state. When all is said and done, there is nothing illegal about selling a contract (which I’ll get into later). What’s more, you aren’t acting as an unlicensed agent (something else that has proven rather divisive). As a wholesaler, you are the principal buyer in the transaction and you are selling your contract to another buyer; it’s as simple as that. As long as you abide by the laws set forth in your particular state, wholesaling is both legal and a lucrative exit strategy. Do You Need A Real Estate License To Wholesale Real Estate? It is not necessary to be a licensed real estate agent to wholesale real estate; you just need to be the principal buyer or seller in the respective transaction. If you are a licensed real estate agent, however, you need to disclose as much. Most states require licensed agents to disclose their position as a licensed real estate professional when they enter into a contract with a buyer or seller. If you are selling a contract, you must disclose that you are not the current owner of the property, but rather that you hold the rights to purchase the property. In other words, you will need to let buyers know that you aren’t selling the property. Instead, you are selling the rights to purchase the property. If you are purchasing the property with the intentions of reselling it, you must disclose that you are not the owner on record. Instead, you must disclose that you have signed a valid purchase agreement and will close escrow sometime in the immediate future. Position Yourself As The Principal Buyer: In order to abide by today’s wholesaling laws, investors must be a principal participant. In other words, investors intent on wholesaling real estate must act as the principal buyer when striking a deal with the original seller. Additionally, the investor must act as the principal seller when it comes time to part ways with the property. To be perfectly clear, the investor must always act as the principal in each part of the transaction. Ensure All Agreements Are Valid: It is important to note that wholesale deals are legitimate real estate deals, despite the differences that separate them from their rehabbing counterparts. As viable exit strategies, wholesale deals should be treated as such. Investors need to, therefore, use valid and binding written purchase and sales agreements that conform to the requirements of their local market. Include The Required Agreement Language: Wholesale deals can be confusing for those that have never done them, which is why the language exercised in a respective deal is so important. In order to make a deal as transparent as possible, therefore abiding by all the rules set forth in your area, be sure to always include relevant agreement language that’s permissible and/or required in your specific market area. Include A Deposit: I highly recommend including a deposit of at least $500 when attempting to acquire a wholesale deal. Otherwise known as earnest money, the deposit will give your impending transaction validity. The money, therefore, simultaneously proves you are a serious buyer and gives you something more important: contractual interest and equitable ownership interest in the property. Have A Backup Plan: While you may be interested in wholesaling, I recommend having a backup plan. More importantly, purchase a wholesale deal with the intent to rehab it in the event the buyer doesn’t come through. To be clear: intent includes both the mental willingness, and the financial capacity to close. Market & Sell Interest You Own: The aforementioned purchase agreement does not give you title to the property. Instead, a wholesale deal gives you the right to buy the property at the previously agreed upon terms. As a result, you need to be careful what you market and sell moving forward. You can only market and sell the purchase agreement itself, and not the subject property. More importantly, however, you will need to disclose that you are a contract holder (not the owner on title) on all marketing material. 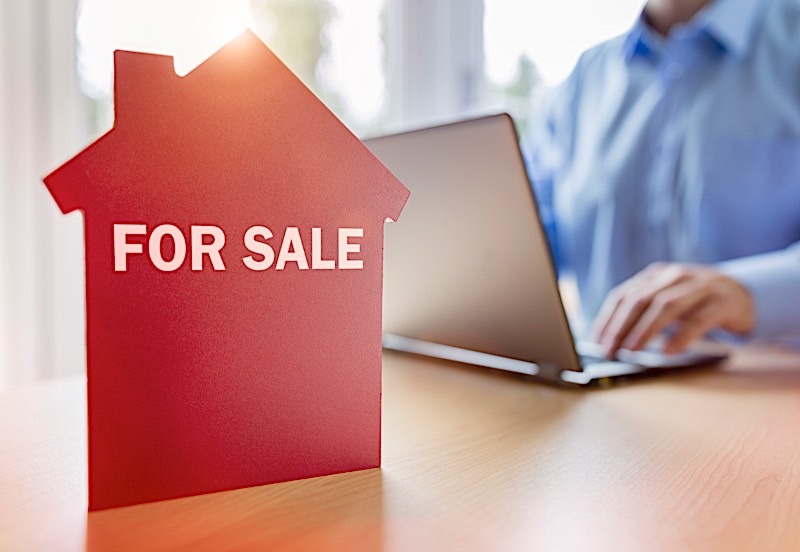 The disclosure shouldn’t leave any questions as to who you are in the transaction: someone selling a contract or purchasing the property and reselling it. Disclose Agent Licensing: Most states require licensed agents to disclose their position as a licensed real estate professional when they enter into a contract with a buyer or seller. You must, therefore, disclose your status as a licensed real estate agent. You must also clearly communicate that you are acting as a principal/direct buyer to purchase the home in the transaction. Exercise Transparency: As always, be fully transparent. Disclosures must be sufficient, proper and timely. There should be no questions on behalf of either party as to what is taking place. Each of these points may be applied to both types of wholesaling strategies: assignment of contract and the double-close. However, they are strictly for informational purposes only. Always seek counsel from experienced, licensed and insured professionals in your specific market area before moving forward with a wholesale deal. It is highly recommended you secure legal representation on every transaction. Wholesaling laws were specifically designed to prevent malicious individuals from taking advantage of the system, or even other buyers and sellers. For all intents and purposes, they are a safety net put in place for our own good. However, far too many investors are unfamiliar with today’s wholesaling real estate rules. As a result, wholesaling has gotten a “bad wrap,” and has been grossly misrepresented. It is true: there are ways to wholesale illegally, but I digress. When carried out in accordance with wholesaling laws, wholesaling real estate can prove to be a great exit strategy. Familiarize yourself with today’s wholesaling laws and be sure to consult a real estate attorney before you attempt a wholesale deal of your own. Is wholesaling real estate illegal? Absolutely not, as long as you abide by the laws set forth in your state. Wholesaling with a real estate license is legal, but you need to disclose your position as a real estate professional.